Tis the Thanksgiving season, I thought I’d share one of the very few dishes I can make. This recipe was passed on to me from my mom (I’m not sure where she got it). 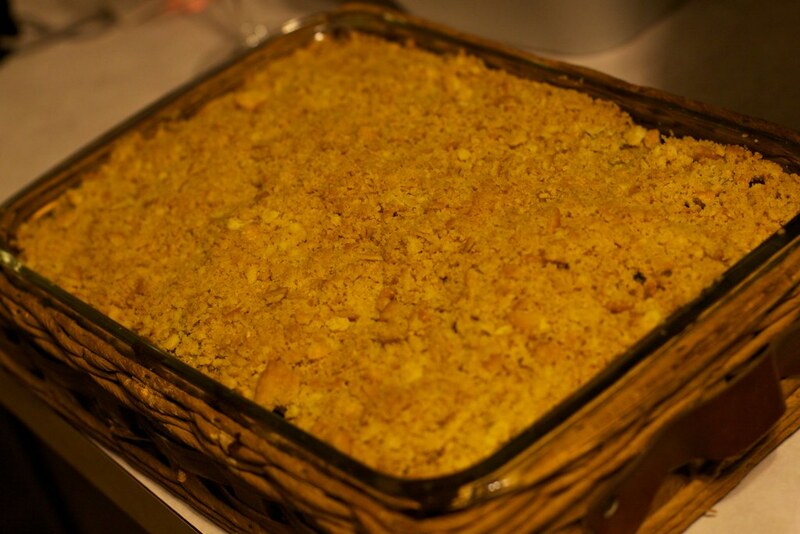 It’s broccoli cheese casserole, and it’s pretty amazing. Even if you are not a fan of broccoli, this dish can make it taste pretty good! It is pretty easy to make (hence why I can make it). So give it a try, take a photo, and leave a comment letting me know how it went! Melt one stick of margarine in a small bowl. I like to add a little garlic salt to the melted margarine. Crush the stacks of Ritz crackers and mix with melted margarine. Distribute the broccoli in a 9? x 13? glass dish. Cut the other stick of margarine into slices and place all over the broccoli. Lay all the slices of cheese on top of the broccoli and margarine. Finally, spread the crushed cracker mix on top of the dish. Bake dish in oven at 350 degrees for about 30 minutes. To avoid a runny casserole, it’s very important to let the dish cool for about 15 minutes. If this step is skipped, the cheese will be very liquid and runny. Just to add some technology into this post, Epicurious is a neat app for iPhone/iPad that can be really useful in the kitchen. It’s FREE, check it out in the iTunes app store.